All music composed, played and recorded by Gert Emmens from March 2012 – February 2013. Peter Leijdsman is co-composer of Contemplation, since this is a new version of a track with the same name, composed and played by Gert Emmens and Peter Leijdsman in 2003. Matzumi (Kathrin Manz): voice on Cry It Out and Silencio Eterno. Natxo Asenjo Fernandez: narrator of Spanish poem on Silencio Eterno. Photography, photo-editing and photo-artwork by Aleksandra Przybylska. The story of this album is about a woman, having the time of her life, along the side of the love of her life. Everything seems to be perfect, what can go wrong? Then one morning, she wakes up, finding herself being alone, no sign of her love, but a poem in Spanish that he left for her. A poem that seems to have some meaning she cannot find in it. What has happened? While time passes without him returning, she undergoes feelings of unbelieve, desperation, sadness, despair, anger and hope. It is a time where this hope slowly fades and she tries to find a way to move on, without the man who meant so much to her. All the time one question remains: Why? Will she ever find the answer to it? 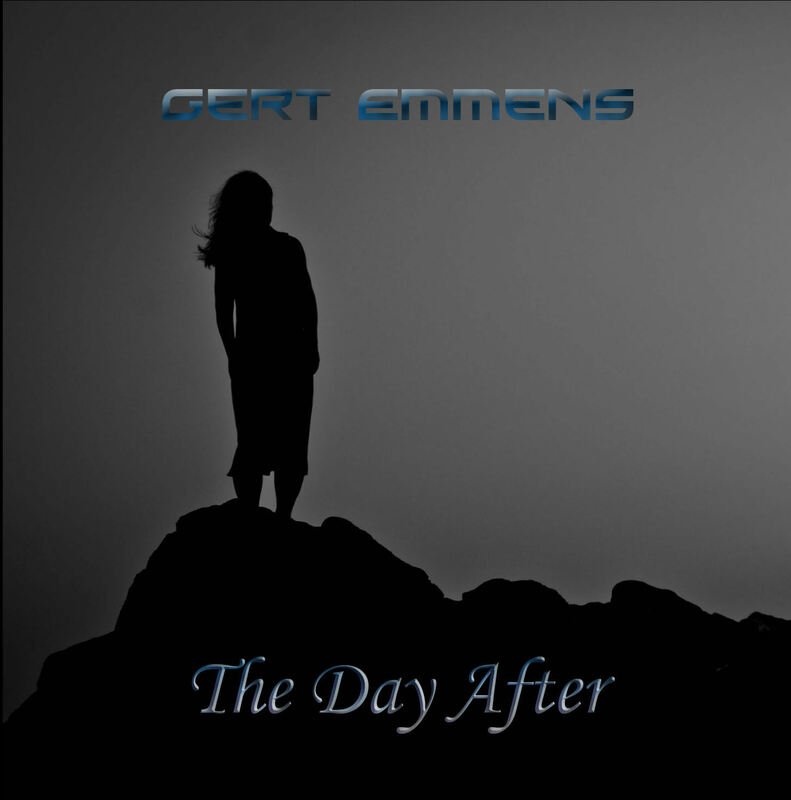 Listening to Gert Emmens latest album - "The Day After" I mused a little bit. Gert regurarly releses another albums. In some of them he tries to innovate, but I think he feels best recording a series of similar collages of sounds and colors. Intriguingly, the therapeutic and romantic music, though devoid of innovative elements, is gaining more and more listeners. Perhaps this is because we now have a really hard times. Amazing pressure of life that many people suffer from, causes increased demand for such pastel relaxation. The Dutch composer - sensitive, crazy romantic, perfectly fulfills his mission and his ethereal-slumber projections soothe negative emotions. Electronic music seems indeed to be especially predisposed for that good cause. In addition to vocals Matzumi, Spanish declamation of Asenjo Fernandez and excellent floating sequences, Gert proposes also something for the eyes - an interesting story described in the booklet (so Emmens is also an intriguing writer). You can read it on a mysterious woman whose emotional life is in ruins. Music is to describe the various states of mind: grief, sorrow, anger and hope. Listening to dreamy passages I look through the cover and see two Polish accents. Thanks and greetings to Aleksandra Przybylska for beautiful photographs, and for Mariusz Wójcik (amazing that even a diacritical mark in his name is spelled correctly). Ola is actually very intuitive photographer, and Mariusz biggest Gert's promoter in the web. International cooperation seems to be very fruitful. Music brings people together, overcoming language and cultural barriers. Recommended! A rendezvous with Gert Emmens always stays an event not to be missed. Even if the Dutch synthesist, whose the tendencies for progressive rock is transposed rather freely on these last works, counts more than 16 solo albums since the beginning of 2000's, he offers a music always inspiring and very inspired. “The Day After” rests on the story of a woman whose only explanation for the departure of her lover is a poem in Spanish, whom we can hear on "Silencio Eterno (Eternal Silence)", that he left on the wrinkles of her pillow. Throughout 7 the titles of “The Day After”, Gert Emmens, supported by the dreamlike voice of Kathrin Manz, follows the evolution of emotions of the broken soul with structures of rhythms in continual changes, going from pure hard rhythms to ambient ones, and harmonies which are tinted with a poetic dexterity which confirms Gert Emmens' very big ease in his role of musical storyteller. It's in breezes to the iridescent tints which hesitate to enter the heavy circular tempo of "Waking Up". Well anchored on a good pulsating line of bass, which does its black chords skip of heavy resonances, the rhythm offers a sweet jerky structure which is reminiscent of Cat Scan from Tangerine Dream on Optical Race. A beautiful line of sequence winds around the rhythm which teams up to good percussions, making its arpeggios swirl such as scatterbrained fires near a dark light. The synth, always so characteristic in Gert Emmens' universe, throws harmonies with a zest of breaths of nasal trumpets which coo on a fascinating spiral a bit groovy that a discreet mellotron veil caresses of its dreamlike mist. As usual, our friend Gert uses his 11 minutes wittingly by changing the reach of his structure of rhythm which goes, for a short period, towards more serene passages and others more accentuated where the bass line caws with a more mordant and the sequences stamp with more stubbornness before that "Waking Up" derives quietly into those morphic ambient phases so unique to the Dutch synthesist signature. "Cry it Out" is typical of Gert Emmens' structures of floating rhythms. The sequences flicker like in an aquatic balletic figure, shaping a fragile rhythm with curves which wave in a morphic envelope and where the discreet riffs, the pads and the solo/lamentations of a dreamy synth weave a lyrical pattern. After 3 minutes of this oniric ambient dance, the percussions knock out the fragility of "Cry it Out" to plunge it into a kind of a weighty cosmic slow dance where the sequences dance languishingly on good drum strikings. The rhythm changes shape again, embracing a mi rhythmic and mi ambient phase where the voice of Matzumi and the riffs of acoustic guitar, there is a clear wink of eye to Edgar Froese here, guides "Cry it Out" towards another dreamy ambiospherical finale. It's a great track. A line of bass sequences emerges from heavy organ pads which open "Hope Fades Away". Slow, the rhythm oscillates like a lame horse on a bed of twinkling arpeggios when percussions bring it towards a sober electronic rock that Emmens waters with his solos to the puzzling twists. Floating between two zones, "Hope Fades Away" kisses an ambiospherical and cosmic phase before diving into a beautiful structure of ambient rhythm where the sequences flit with grace and harmony and the percussions shape a very cosmic down-tempo. "Silencio Eterno (Eternal Silence)" is the most beautiful moment in “The Day After”. A line of sequences waves with musicality on a discreet bass line which draws wavelets lapping in cascades. Fine arpeggios sing with dreamlike voices whilst the title falls over slowly towards another rhythmic envelope. 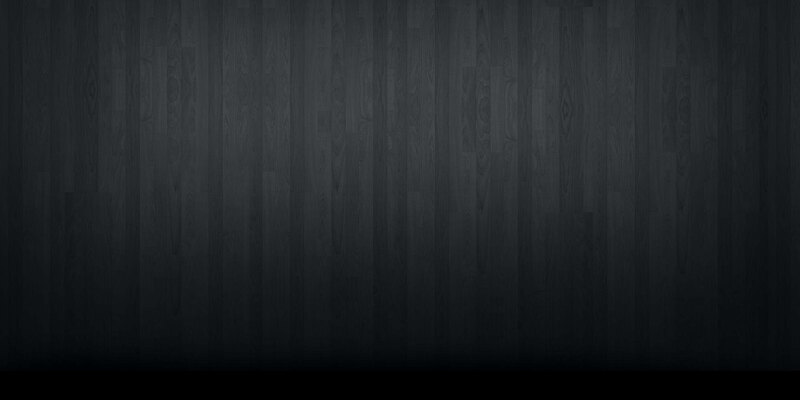 A soft rhythm where the delicate percussions stimulate an effect of passive impulse. After a brief ambiospherical passage, "Silencio Eterno (Eternal Silence)" rerolls with a renewed fluidity and reinvented harmonies. The percussions are more precise, the sequences are more alert. The synths decorate the atmospheres of fine bluish drizzle and with soft lyrical solos while the voice of Matzumi welcomes us in the morphic finale of this filmic ode where the images are dancing in our head. This is a great track. "Searching for Answers" offers a more free musical structure. A kind of electronic prog with fragrances of jazz which get lost into some cosmic ambiences before resuming into another shape of a more ambient rhythm which borrows the furtive paths of the opening track and finally a kind of funky groove where the rhythm hiccups into vapors of ether. There is a lot of movement in these 12 minutes, especially with a finale which rests on the ashes of Yes and their unforgettable I've Seen All Good People, and the dreamy harmonies of Yanni. Indeed, she is really searching for answers. Written in 2003 with Peter Leijdsman, "Contemplation" is another beautiful track molded in the contemplative spheres of "Silencio Eterno (Eternal Silence)", while that "How to Move on From Here" concludes “The Day After” with a delicious meditative approach and a very beautiful album where Gert Emmens is as this old friend whom we like seeing again and whose music is a comfort that we appreciate so much. We know that he won't disappoint and that we can always trust him to warm us the soul and make us think. Der niederländische Elektronikmusiker Gert Emmens gehört seit Jahren zu den besten der Szene, was er durch zahlreiche Album-Veröffentlichungen und Konzerte belegen kann. Ob mit Ruud Heij, Cadenced Haven oder Solo, er ist nicht mehr aus der Szenen wegzudenken. Der neueste Output, den er als Solowerk im Sommer 2013 veröffentlicht, nennt sich „The Day After“. Wer kennt nicht den amerikanischen Film „The Day After – Der Tag danach“ aus dem Jahr 1983, bei dem es um einen Atombombeneinschlag in der Nähe des amerikanischen Ortes Kansas City geht? Hat Gert sich diesem Endzeitthema gewidmet? Nein. Sieht man in das Booklet zur CD, dann wird schnell deutlich, dass es hier um zwischenmenschliche Beziehungen geht. Die Geschichte hinter dem Album ist die einer Frau, die die beste Zeit neben der Liebe ihres Lebens verbringt. Alles scheint perfekt zu sein. Dann aber wacht sie eines Morgens alleine auf. Statt ihren Partner, findet sie nur ein in spanischer Sprache verfasstes Gedicht, das er ihr hinterlassen hat. Sie kann den Hintergrund und die Bedeutung des Textes und des Verlassenseins nicht begreifen. Und so durchläuft sie die unterschiedlichsten Gefühle wie Verständnislosigkeit, Verzweiflung, Trauer, Hoffnungslosigkeit, Wut und auch Hoffnung. Sie fragt sich was passiert ist und stellt die Frage nach dem Warum. Wird sie jemals die Antwort finden? Diese hoch emotionalen Gefühlsschwankungen hat Gert versucht in Klänge zu verwandeln. Bei Instrumentalstücken ist es ja bekanntlich nicht leicht einer Geschichte zu folgen oder sich den Gedanken des Komponisten anzuschließen und so ist das auch bei Gert Emmens Werk, das man - würde man die Hintergründe nicht kennen - auch anders interpretieren kann. Die ersten sechs Stücke liegen alle um die zehn bis zwölf Minuten und der letzte Titel bringt es dann noch auf knapp vier Minuten. Gestartet wird mit dem Stück „Waking Up“. Langsam beginnt das Stück und man hat das Gefühl langsam zu erwachen. Nach knapp zwei Minuten schälen sich dann die typischen Emmens-Melodien und Soundmuster heraus und noch ein recht positives Bild wird gezeichnet. Ich kann mir bei dieser Musik gut vorstellen, wie die Protagonistin wach wird und anfängt ihren Liebsten zu suchen, der nicht an ihrer Seite liegt. Raum für Raum durchsucht sie, doch die Suche beleibt erfolglos. Das hört man auch in den Zwischentönen bzw. -sequenzen. Am Ende erstirbt der Rhythmus und die Erkenntnis des Verlassenseins macht sich wie ein Schatten breit. Es folgt „Cry Out“. Zunächst mystisch beginnend und eine gewisse Melancholie ausdrückend starten nach gut einer Minute die Sequenzer und die Rhythmik zeigt schon einen etwas hektischeren Gemütszustand. Im Mittelteil wird es dann noch rhythmischer und steigert sich, so dass ich mir den Ausschrei vorstellen kann, auf den Ernüchterung folgt. Dies drückt Gert durch die Sounds und die aufkommende Melancholie gut aus. Auch Matzumi’s (Kathrin Manz) Gesang am Ende des Stückes drückt die Trauer der Person sehr gut aus. Im Stück „Hope Fades Away“ kann man als Hörer ebenfalls gut nachvollziehen, wie die Hoffnung bei der Protagonistin schwindet. Hier ist Gert Emmens auch wieder in seinem Element, denn für ihn typische Sounds und Melodiebögen umgeben den Hörer in der ersten Hälfte. Im Mittelteil wird es dann ganz düster, denn nun regieren Sounds, die einen mental in die Tiefe ziehen. Im letzten Drittel erhellt sich dann die Stimmung wieder und der typische Emmens mit Melodien zum Dahinfließen kommt wieder zum Vorschein. Das Stück „Silencio Eterno (Eternal Silence)“ beschreibt, wie unsere Figur den Brief mit dem Gedicht entdeckt. Es ist in spanischer Sprache gehalten und wird von Natxo Asenjo Férnandez gesprochen. Darunter hat Gert eine zarte Melodie gelegt. Sobald das Gedicht vorgetragen ist, starten wieder die Sequenzerrhythmen und Gert bewegt sich hymnisch voran. Mit einem Rhythmus hat Gerd das Stück unterlegt, der ein wenig an Jean Michel Jarre erinnert. Zum Ende des Stückes greift Matzumi wieder zum Mikrophon und verleiht dem Track eine sehr melancholische Note, die unter die Haut geht. Im nächsten Stück „Searching For Answers“ hat Gert die Suche nach Antworten musikalisch umgesetzt. Warum ist er gegangen? Was ist der Grund dafür? Und, und, und ... Sehr schöne Melodiebögen setzen das Thema um und man stellt sich beim Hören die gleichen Fragen. Es folgt „Contemplation“ und mit „How To Move On From Here“ wird die Frage aufgeworfen, wie es weitergehen soll. Letzteres wirkt eher experimentell / hymnisch und bedrohlich. Man kann nur hoffen, dass die Protagonistin sich positiv dem weiteren Leben gewidmet hat. Mit „The Day After“ hat sich Gert Emmens einem Thema gewidmet, dass die meisten Menschen von uns schon erlebt haben, nämlich von einem Menschen, den man liebt, verlassen worden zu sein. Das ist mal ein anderes Thema als ständig mit den elektronischen Klängen in den Weltraum zu reisen. Ich finde Gert hat das Thema gut umgesetzt, da man sich beim Hören in die Gemütslage der Hauptperson versetzen kann. Ansonsten ist es wieder eine gute, typische Emmens-Veröffentlichung, die den Freunden seiner Musik sehr gut munden wird.